We are not accepting people who are required to complete community service hours for city and county court jurisdictions, as this program is under review. Café Assistant Duties: Volunteers prepare and serve hot nutritious breakfast and lunch meals. Prepare serving line with variety of menu items to include salad, entrée, dessert, and beverages. Clean kitchen and wash dishes as needed. Skills Needed: Food handling experience preferred. Ability and willingness to be physically active and perform light lifting. Must be 16 years of age. Time Commitment: Fixed schedule 1-day per week for a minimum of three months. Two shifts Monday thru Friday from 7:00a to 10:00a and 10:00a to 2:00p. Closet Assistant Duties: Volunteers greet and interact with program participants in the role of personal shopper. Assist participants in clothing and basic household item selections. Accept donations of clothing and small household items. Greet donors and process donations. Issue donation receipts. Sort and inspect donated clothing. Replenish merchandise in boutique as needed. Skills Needed: Ability and willingness to be physically active, have an interest in working with people and perform light to moderate lifting. Must be 16 years of age. Time Commitment: Fixed schedule 1-day per week for a minimum of three months. Two shifts Monday thru Thursday from 8:00 a to 12:00p and 12:00p to 4:00p. 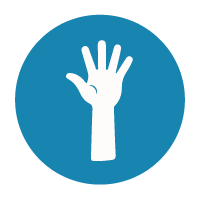 Community Service participants convicted of theft, assault, child abuse, domestic violence, sexual assault, arson, or weapons possession are unable to volunteer at OUR Center. Drug related convictions are reviewed on a case-by-case basis. Community Service participants must commit to a minimum of 16 hours of community service with OUR Center. Community Service participants must complete our online volunteer application and attend the Community Service Volunteer Orientation. 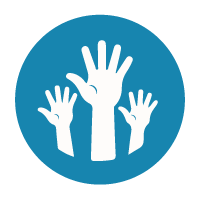 Community Service participants must include case worker or probation officer contact information on our volunteer application prior to being considered for community service with OUR Center. Community Service participants must provide court documentation of community service requirement at the orientation.